Music, Passion, & Technology We have been around since the early days of modern music making, and we have grown together along with the music industry. Through the experience accumulated, we have evolved from dealing in traditional acoustic instruments to modern state-of-the-art hi-tech musical instruments and equipments. If you are looking for electronic and digital musical solutions of the latest technology, we are the specialists for you. Our passion for excellence and commitment to offering high quality musical instruments at great value has attracted many repeat and new customers. Customer service and satifcations is also our top priority whereby we place heavy emphasis on after sales support. Our customers pay good money for our products and we feel that it doesn't make sense if they could not make full use of the products and get the most out of it. 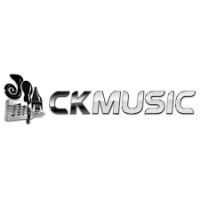 We strongly believe in this combination of unique strengths that leaves CK Music well-equipped to take on the enviable challenges of continued growth.